As a parent, it’s your responsibility to take care of your kids and to make sure they are safe whether they are eating, sleeping or playing. Whether you have a newborn baby or older kids, you want to give them all the best life has to offer. Keeping your baby happy, comfortable, well fed, and healthy is all you can do for your baby at such a tender age. The amount of time your baby sleeps contributes to its health and proper development. The comfort of your baby will determine if he/she sleeps well and develops properly. While most parents prefer to buy cribs for their babies to keep them safe throughout the night, it’s cumbersome to move a crib around the house. On the other hand, a baby chair is easy to move but not very comfortable because of its hard surface. Baby bean bag chairs are practical and comfortable chairs that have built-in straps to keep the baby safe at all times and a comfortable design to envelop your baby in a comfortable position. You can easily move them around the house as you work and keep an eye on your child. Infants and kids over 12 months shouldn’t sleep on bean bags without close supervision. Although kids over 12 months are in a better position to free themselves in case they get entangled in the bean bag, it's important to keep an eye on them while asleep. To avoid accidents make sure the bean bag has a firm surface with great head and neck support. Also, ensure that the polystyrene bead filling is securely locked to prevent your kids from opening the cover and inhaling or choking on them. A baby bean bag chair has many benefits for your newborn. The first being the level of comfort it offers the baby which improves the quality of sleep and determines how long the baby will sleep. Apart from being a cozy and comfortable chair to lay your child, these bean bag chairs also have built-in sit-up support that will help your child sit properly without falling. We all know that babies take some time to learn how to support themselves and sit upright. These chairs are specially made to support the baby's weight and to make sure that the baby is comfortable when asleep. It’s convenient and easy to move the baby bean bag around the house to keep an eye on the baby when sleeping instead of having to move the crib or carry the baby around with a handheld chair. Many bean bag chairs come with removable covers that you can easily wash. You can also buy other covers to interchange to give your baby’s chair more variety. The filling in the bean bags is meant to provide extra comfort and support for your baby. It conforms to the contours of the baby’s body once the baby is placed on it to give needed support according to the baby’s weight. READ What kind of pillows should you use? Now that you know the benefits of having a baby bean bag chair, there are a few things you need to consider before buying one. The covering on the chair should be soft, durable, and stitched properly to keep the bead filling from falling out. It should be easy to wipe off any vomit or fluids and it can be either hand or machine washed. The fabric shouldn’t have an adverse reaction to the baby’s skin. The chair should be ergonomically designed for the baby’s soft body and made with environmentally friendly material. Also, make sure that the bean bag is double stitched to prevent the filling from spilling out and your baby accidentally eating the small beads. There are some bean bags designed to be used only when the baby is awake and others only when the baby is sleeping or sitting. Make sure you know which one you want to buy. While most bean bags come pre-filled, others you have to buy the stuffing material or make your own. The stuffing and beads are readily available online or in specific local stores. You can also read reviews to know the best filling to buy. Some stuffing or filling can cause the surface of the bean bag to be rough which will hurt the baby’s skin. Test out the comfort of the bean bag. You can apply some pressure with your hand on different points on the surface of the bean bag to see how well it conforms to your hand. Not every bean bag chair is best for your baby, you need to get the right one. These points will help you know what to consider when buying a bean bag chair for your toddler. You can now eliminate all the bean bags you don’t want and focus on the best one. To speed up and make this process less time consuming, you might want to consider these tips. Don’t go for a bean bag chair that doesn’t support the weight of your baby. Every bean bag has the recommended weight displayed on it. If you can’t find it you can ask for assistance from a store attendant. Never buy the first bean bag you see in the store. Bean bag chairs come in various shapes and designs. Also, they have different fillings inside and different features that you need to know before you make any purchasing decision. Make sure you do some research on what you’re looking for. Baby bean bags are designed to give your baby comfort as well as support its weight to help your baby sleep longer and peacefully. Babies can sleep for up to 20 hours a day for proper growth and brain development which means their beds should be of paramount importance. 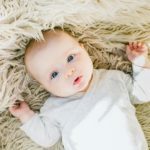 The best thing about baby bean bag chairs is that they reduce the risk of your baby having flat head syndrome from sleeping on hard surfaces, aid in your baby’s acid reflux, and provide enough comfort and support for the baby. Do You Know how to Clean Your Baby’s Nose?